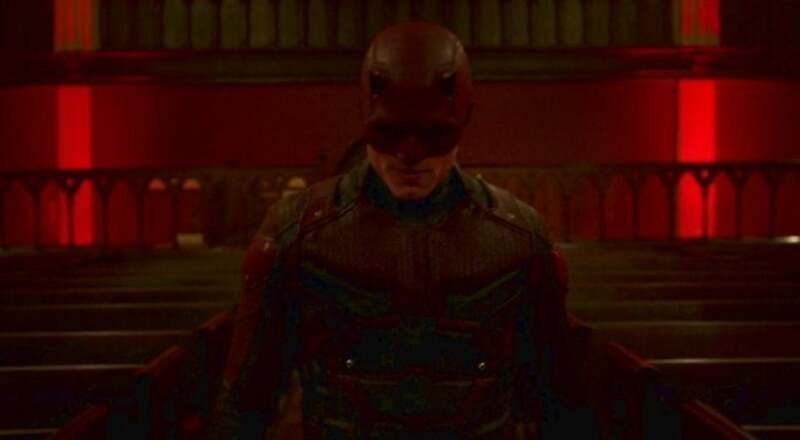 Following the events of The Defenders, Matt Murdock (Charlie Cox), presumed dead, is actually convalescing in Father Paul Lantom’s (Peter McRobbie) Church. After recovering with the help of Father Lantom and Sister Maggie (Joanne Whalley), Matt once again takes to the streets as Daredevil only to find that Wilson Fisk (Vincent D’Onofrio) is orchestrating a grand scheme to get out of prison by manipulating the FBI. Also caught in the Kingpin’s web of intrigue are honest agent and family man Ray Nadeem (Jay Ali), the troubled and misguided Benjamin Poindexter (Wilson Bethel), and Matt’s former partners Foggy Nelson (Elden Henson) and Karen Page (Deborah Ann Woll). We hadn’t watched Daredevil or The Defenders in a while, but after a brief refresher, my mom jumped right in. Ultimately though, the refresher wasn’t necessary as Season 3 starts off in a very accessible place and spends time re-building Matt Murdock and the Kingpin. The season starts off as a rather slow burn, but the burn is interesting, due in no small part to Vincent D’Onofrio’s Kingpin who once again steals the spotlight with his commanding presence and the fact that his fingers are five steps ahead of any pie. Every time he was on screen talking to the FBI my mom insisted that they were making a mistake by trusting him and giving him any leeway. And that he is an “evil, evil man”. Things ramp up considerably by the end of episode 4. Yes, the one with the 11 minute single shot prison scene. When I explained exactly what they did and how they did it she was very impressed, as we all should be. Things just get better and worse from there. Better for the audience, worse for Matt Murdock, which is just classic Daredevil. Fisk’s scheme unfolds with a surprising beauty as he manipulates and bribes his way in controlling every little thing. Ray, as a character, is one of Season 3’s biggest triumphs. Our perception of him bounces around as we get to know him as an agent with numerous family and financial struggles, to a rising star despite the dramatic irony of his being hamstrung by Fisk, and culminating with fear for his family and his inevitable (SPOILER ALERT) death. My mom and I both went through this rollercoaster of emotions, which resolves well once he finally teams up with Matt in “Reunion”, which my mom really loved. Also, yay representation for Indian people! On the opposite end of the spectrum is Wilson Bethel’s Dex Poindexter. He continually falls so far both due to his own issues and Fisk’s terrifying puppetmastery. Making him a dark mirror of both Ray and Daredevil simultaneously makes him really effective and makes his final turn against Fisk very satisfying. Also satisfying? The final cathartic fight scene between Fisk, Daredevil, and Bullseye. My mom was laughing the entire time because they were all just beating each other up, but was definitely happy that Fisk finally got his due. Who lights a church in demonic red? Clearly, Daredevil works better with gangland violence and criminal conspiracy than magic ninjas. Leave that to Iron Fist. OH WAIT, THEY’RE BOTH CANCELED. My mom was upset when Karen’s dad didn’t let her come home. She assured me that she would never say that to me no matter what happened. I didn’t ask a follow-up question after the later episode shows that Karen did all of the drugs and caused people to die. I feel like she might have changed her tune. 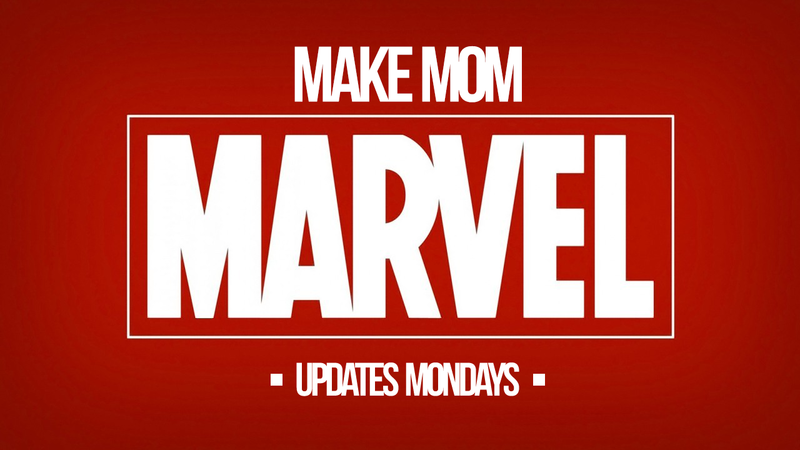 My mom found out that Daredevil was canceled before me and told ME the bad news! She’s really not happy. Hey, can you do agents of shield. I know the first half of s1 might be a drag but it’s totally worth it.